Northern Soul is a 2014 British film directed by Elaine Constantine. Set in 1974, it’s about two Lancashire teens, Matt and John, whose lives become intertwined are changed forever by their mutual love of obscure American soul music and the dance scene (near cult) of the time, which became known as “Northern Soul” (since most of the the clubs that craved this music were in the north of England). While the movie tends to use some predictable (not bad, just predictable) plot lines, the real star of this movie is the magnificent sounds heard within. Simple tale: listless school boy Matt meets up with John, who is an avid Northern Soul fanatic. Taking his cues from John, Matt begins to not only obsess over Northern Soul but immerses himself so deeply and embraces every element, that he formulates a plan to become a D.J. along with John. Various ups and downs occur, but the focus on the music – the replicated style of dancing along with fashions – makes this thoroughly enjoyable. About the music – and being a several-decade fan of this music, it gave me goosebumps hearing Luther Ingram’s “Exus Trek” being played no less than 3 times; many of the descriptions – such as the almost-religious search for singles that had been played in the clubs with a “white label” (done so that competing D.J.’s couldn’t find out the name or artist of the track and play it at their own venues) is done to a T; the almost absurb “baggy” pants with the widest legs ever (to give maximum comfort when out on a hot and heavy dance floor) – all of it was pictured just right. 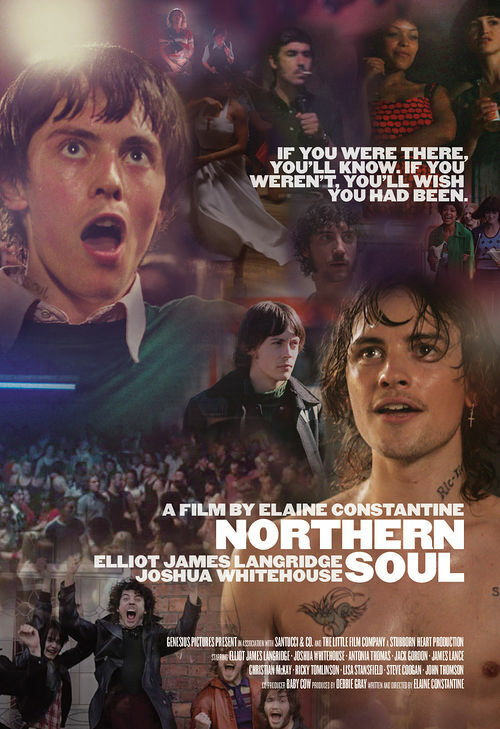 If you want a good glimpse of a true cult/scene (said in the most positive sense), check out Northern Soul. Although it’s a scripted film, it’s still pretty sharp and a good way into learning about some of the best music you’ve never heard. Trust me – I wish I’d been able to have been there. Northern Soul is available on pay-per-view cable systems and in select theatres as of October 17th.